Let’s talk about brunch. Relatively speaking, it’s a new phenomenon to have hit our shores. I certainly didn’t grow up in a time where brunch was an option, yes as a child there were times when I indulged in a bowl of Frosties at 11am, but we never called it a meal. Fast forward decade or so later and we are nation who love to brunch. Brunches are lazy mornings, bottomless cups of coffee and where breakfast and lunch dishes somehow manage to seamlessly merge into an appetising and filling meal that will last you until dinnertime. Brunch is also a time when we can have booze (aha, now I have your attention!). Mimosas and bloody mary’s are not cocktails we have at any other time of day other than brunch, they’re a cheeky wee something to enjoy with eggs right? Most importantly, brunch should fundamentally require minimal input so it requires eating out. So how do you choose a good brunch venue? For me it’s all the eggs. I want eggs any way I please, at any time of day but I don’t want to go someplace swanky. I want to be able to rock up in my hoodie (ahem! – with a hangover if need be) and settle back for an hour or so with friends, or a pile of newspapers, undisturbed. Glasgow certainly has no shortage of brunch hot-spots, the one which ticks both boxes for me and more is Merchant City’s very own Transeurope Café. 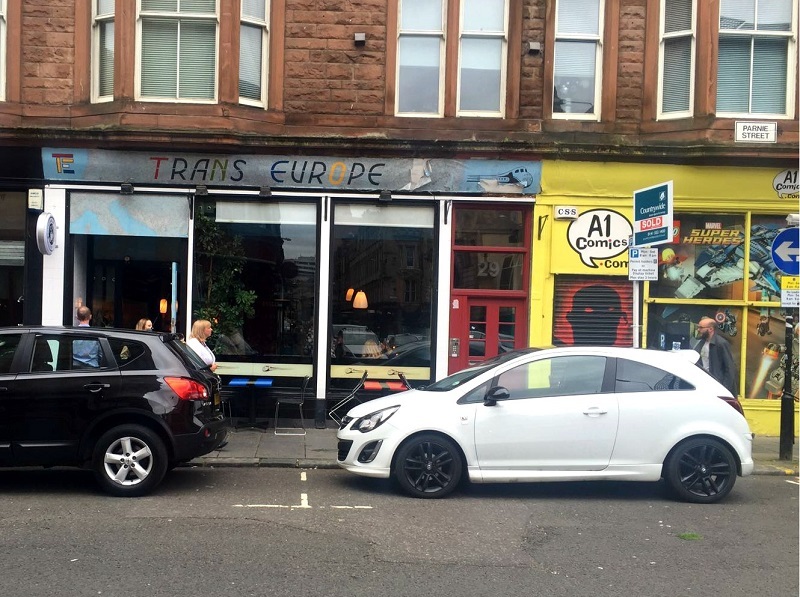 Glasgow’s Transeurope Café, is a titchy little place tucked away in a little nook of Merchant City (25 Parnie Street to be exact) but what it lacks in size it makes up for in style and eggs. The café has approx. 10-12 tables and their use of retro FirstBus (circa 1990) booth seats and maps covering the walls gives it an air of, greasy spoon café meets an Amsterdam coffee-shop. The music is pretty chill, the staff are very friendly and there is always a pile of newspapers. Transeurope Café is open for breakfast and lunch Monday – Sunday 10am – 5pm, and they also have a supper club running Friday – Saturday from 6.30pm – 10pm. Breakfast is served all day, and considering the size of the café and their tiny little kitchen, the menu is surprisingly diverse: from customised full breakfasts, French toast and build-your-own-omelette to variations on the classic eggs benedict. Not to mention a plethora of hot and soft drinks. The lunch menu focuses on an array of sandwiches and salads, but look out for soups and other items on the specials board when you walk in. Being fully licensed, Transeurope also have a decent wine, beer and spirits list: great for those occasions when brunch takes you into the early evening. I’m no newbie to Transeurope, this has been mine & my BFFs go-to brunch spot in the city for years. Asides from the fact its within walking distance of my Glasgow flat, the place has such a relaxed vibe about it that it draws me back time and time again. 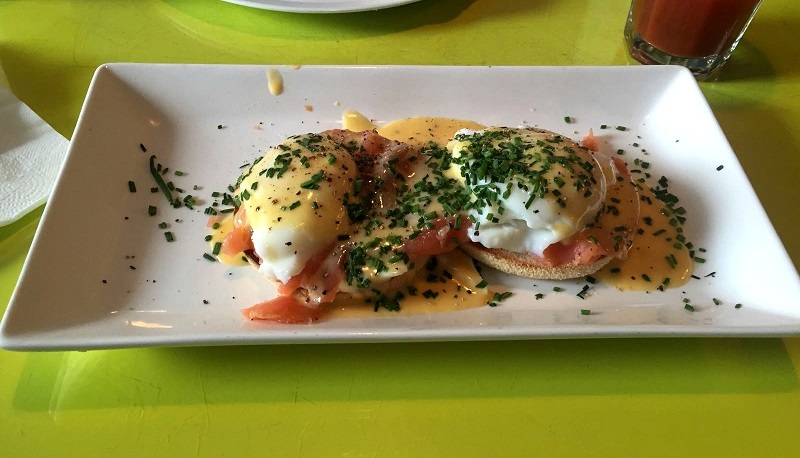 It’s their variations on the eggs benedict that I come for: their eggs florentine and eggs royale are second to none. 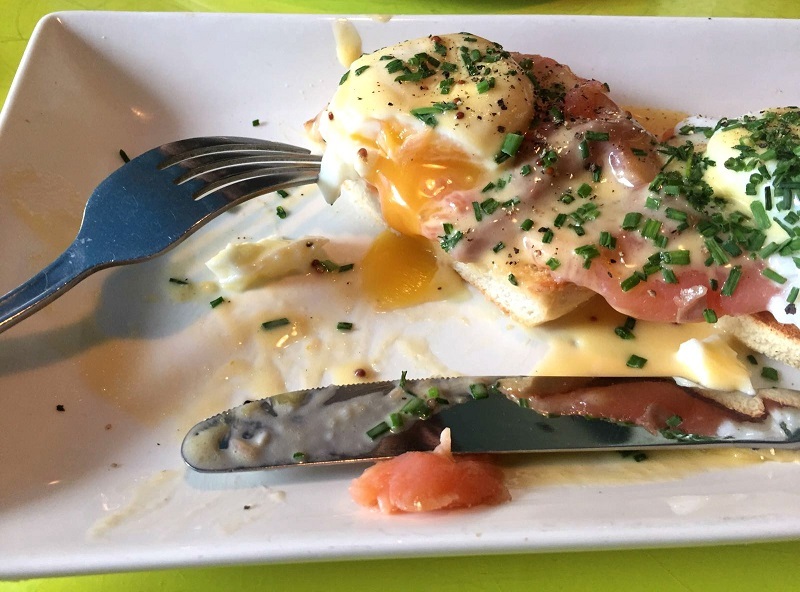 The key is in the hollandaise sauce and the generous portions served up, for very reasonable (and student friendly) prices. Simply put, they do the best eggs in the city. So next time you’re in Glasgow, why not head out of the shopping district and the popular West end, and make your way down to the shabby chic Merchant City. 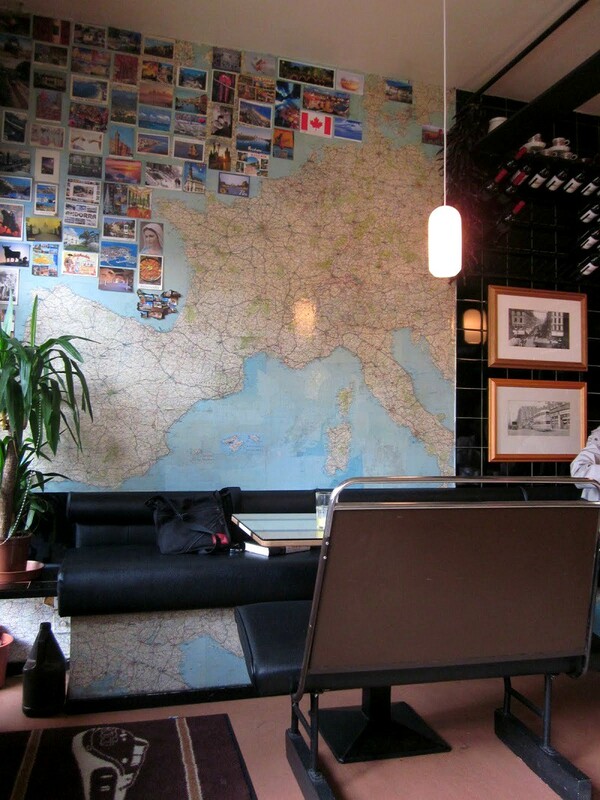 Nab a cosy corner booth in Transeurope and indulge in a lazy weekend brunch.